The owners wanted a home that was elegant, but functional for their family. They wanted the house to simultaneously convey permanence, comfort, luxury, tradition, and modernity; all potentially competing notions that had to be woven together seamlessly. 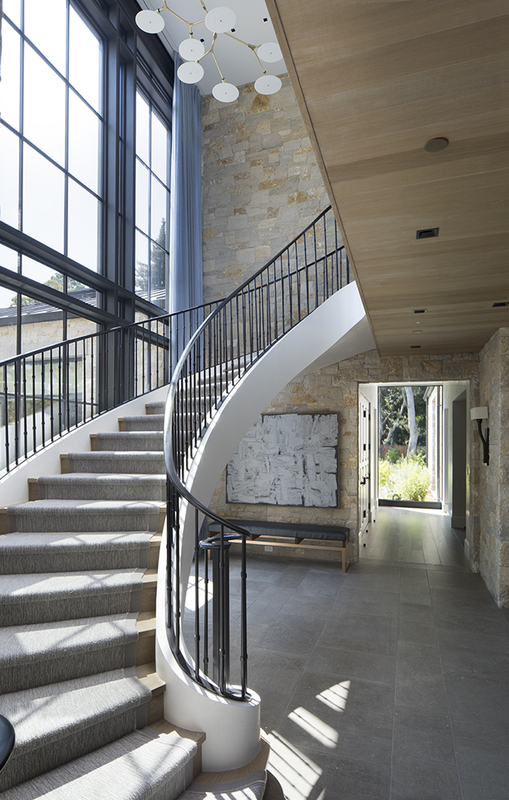 There is a layered approach to the home. Stone slabs at the entry court peel away to reveal a water feature surrounding the entry. 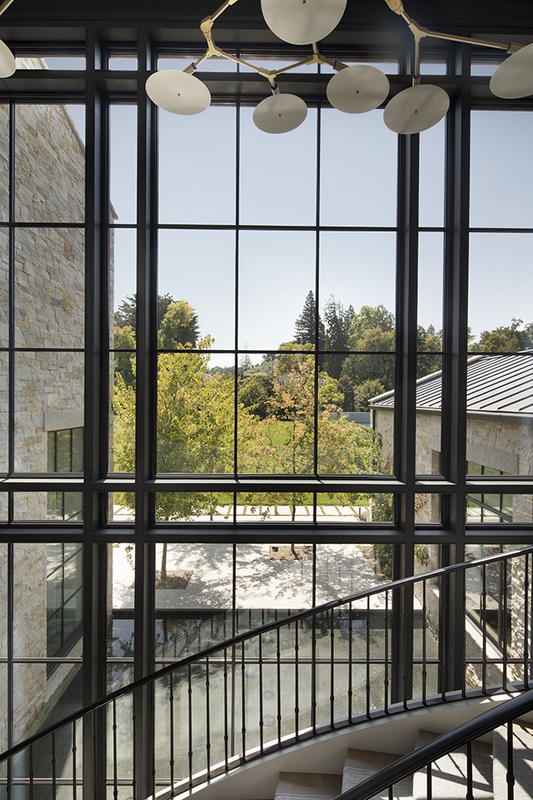 Passing through the entry, you are greeted by a loggia overlooking an exterior courtyard and reflecting pool. 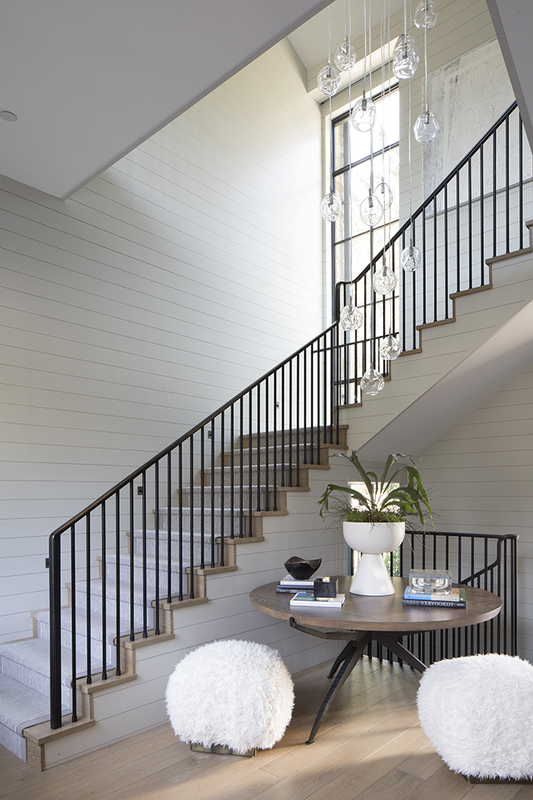 One can peer through crape myrtles and glass doors to get their first glimpse of the interiors. 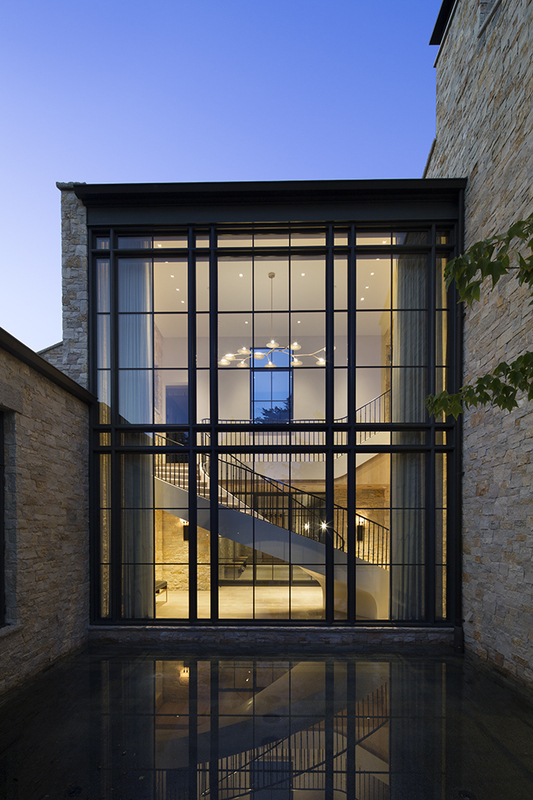 Another set of doors—now expressed in steel and glass—finally brings you to the interior of the home, where a grand staircase rises in front of another reflecting pool and the rear yard.